The founder of the Bay Area Center for Wellness, Walter Marker, PhD, is a scientist currently working at NASA. He first became interested in Peruvian shamanism after talking to a colleague who was a Professor of Mathematics at the University of Utah, who is currently working with chaos theory and computer modeling. This Professor was also very fluent in Spanish language and was asked to accompany some Anthropology professors from the University of Utah who were studying the Shaman of Peru. Dr. Marker was amazed that when his friend related his experience in Peru, he described the Shaman using breathing and attention focusing exercises that were very similar to those used in Japanese Martial Arts and Yoga. This started Dr. Marker on a journey that has continued to this day. By chance, an old friend of Dr. Marker, Lynn Brown, currently living in Oregon, had studied extensively about Peruvian Shamanism and agreed to come to Houston to teach seminars. 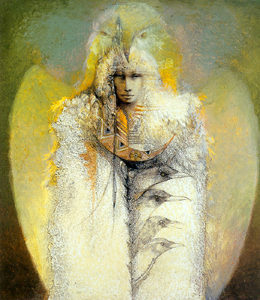 To investigate Shamanism with LYNN click HERE.